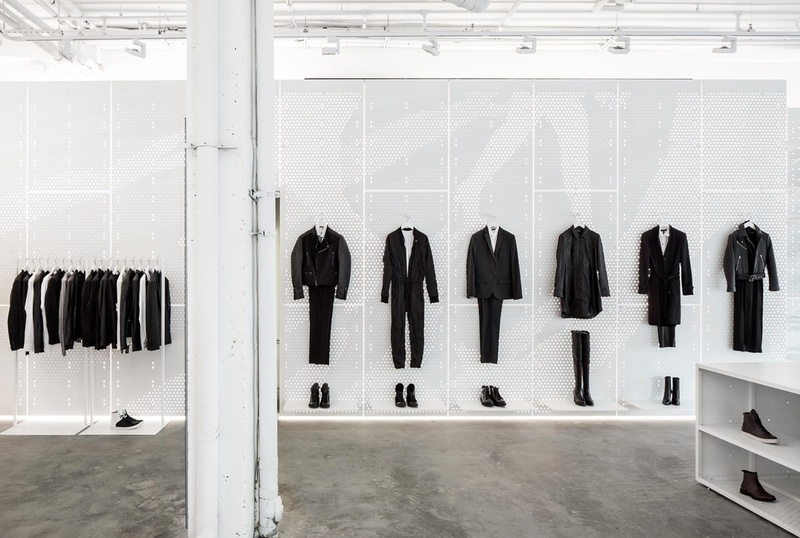 located on the corner of Bond + Bowery in NYC, this Kenneth Cole concept store is conceived of as an event space and production space - a continually evolving environment and retail experience that houses product, social media and social exchange. this is a place for "Goods" and "For Good." 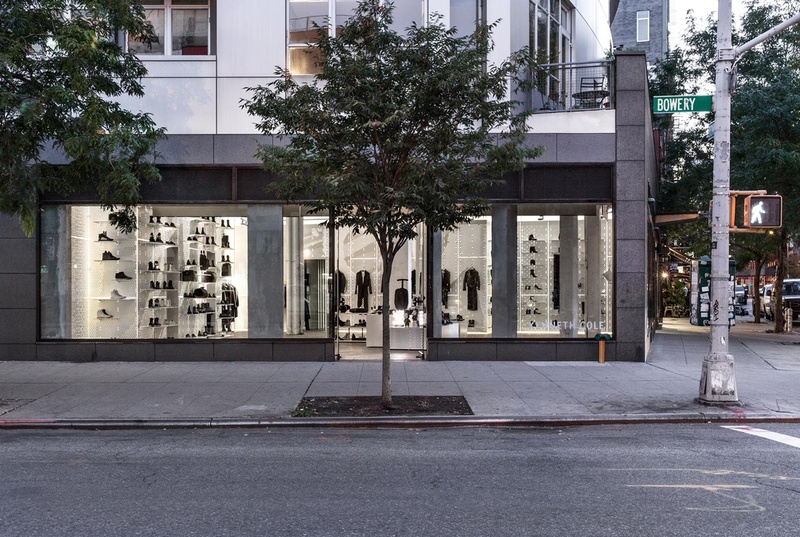 the design utilizes an iconic image from the Kenneth Cole Productions archive and recalls the launch of the brand in 1982 when Kenneth created a film production company to make a fake film - "The Birth of a Shoe Company" - in order to obtain permission to park a 40 ft trailer in Midtown Manhattan - out of which he sold 40,000 pairs of shoes 3.5 days. 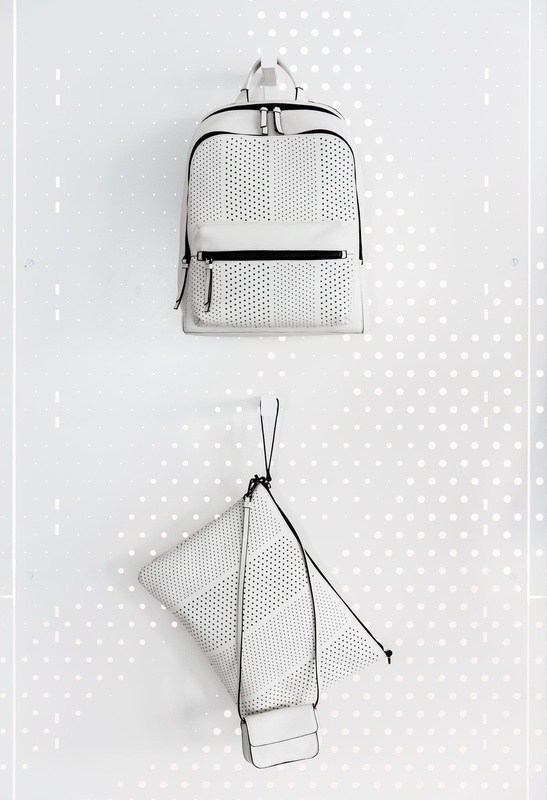 the perimeter of the interior is defined by a white powder-coated steel surface. 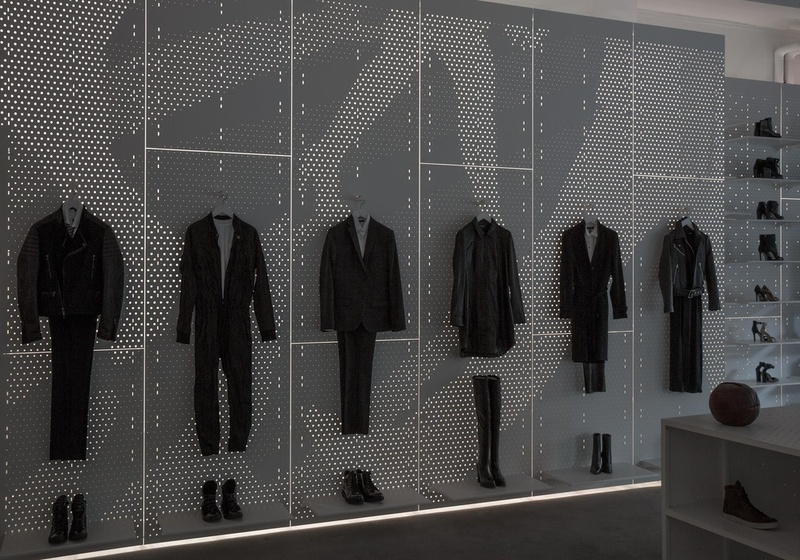 using the "pixels" of the iconic "walking feet" image, this steel surface was perforated to hold shelves and hang-bars for product and functions as a re-configurable infrastructure. 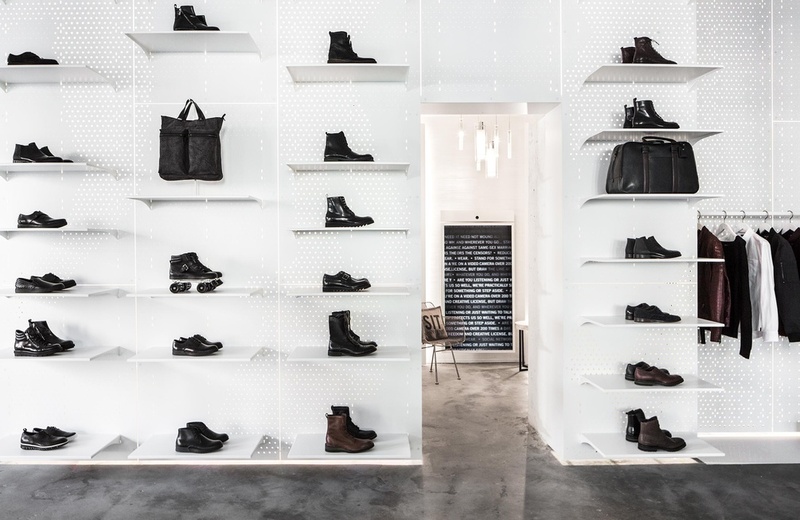 at the center of the store, this perforated steel surface has been folded into interlocking boxes that serve as tables of curiosities. 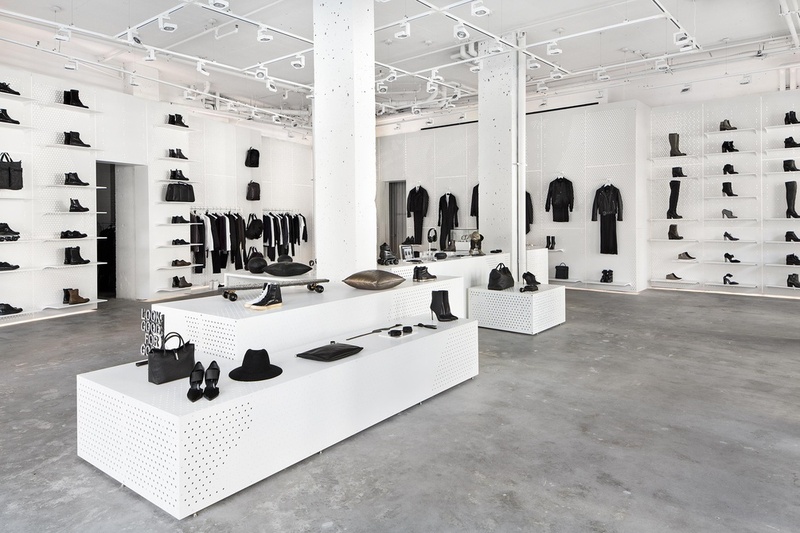 in juxtaposition to the steel and concrete interior, technology has been incorporated to invite user engagement and to define a curated personal shopping experience. the product story comes alive through a touch table complete with RFID technology and smartly placed tablets. A memori mirror fosters client/stylist engagement and allows customers to connect to social media.